Enjoy luxurious apartments overlooking Trinity Beach and surrounding North Queensland coastline during your stay at Vue Apartments. With spacious living quarters and fantastic customer service, this is great accommodation for longer stays where you can take advantage of Vue Apartment's great tours and activities. Enjoy the beaches, the rainforest and more at Vue Apartments Trinity Beach in Cairns. Patrolled from November to May, in a stinger-proof enclosure, the beach is family friendly. Your direct Trinity Beach access via security keypad control gated beach access. You have unlimited access to the infinity pool overlooking the Coral Sea. 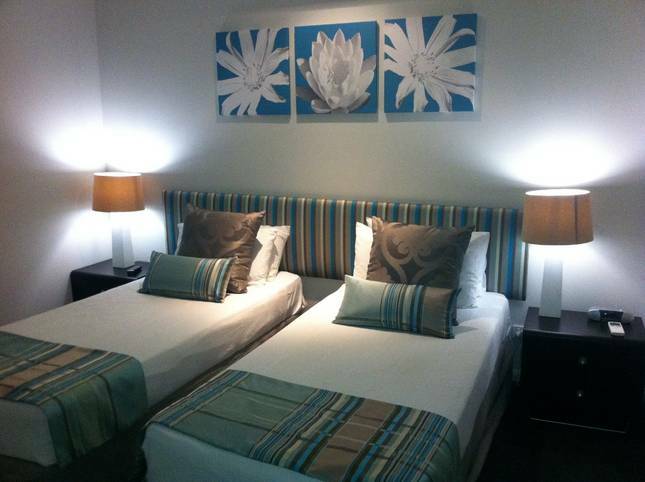 Your accommodation is spacious and luxurious, individually decorated, and fully furnished. With apartments ranging from one to four and penthouse, with modern and stylish furniture and amenities. With on-site restaurant and full kitchen, meals are easy to arrange. There's complimentary self parking and personalized airport transfers to make your travel a dream. Keep up with your fitness during your stay with complimentary use of the coastwatchers gym. The customer service at Vue Apartments Trinity Beach is exceptional and they will happily suggest local attractions, book tours or organise car rental for any last-minute trips to Port Douglas. One-minute walk to Trinity Beach and the Esplanade’s restaurants and bars. 15-minute drive north from Cairns Airport. 15-minute drive north to Palm Cove. 20-minute drive north from Cairns city centre. 20-minute drive to Kuranda, aka ‘The Village in the Rainforest’. 50-minute drive north to Port Douglas. If cancelled or modified between 14 days prior to arrival no fee will be charged. If cancelled or modified later, 100% of the first nights accommodation will be charged. In case of no-show, the total price of the reservation will be charged. Apartments have been decorated by local interior designers. Generously appointed, spaciously designed luxury apartments with views over the coral Sea, with direct beachfront access. Fully equipped gourmet kitchens with granite bench tops, stainless steel fittings, oven, electric cook top and microwave.